Kyoto Day 04: Made My Dream to Visit Daigoji Temple in Kyoto a Reality! It was a cold and misty Autumn morning. Rain clouds turned Kyoto into a gloomy city. But I didn’t care. I woke up with a spring in my step. “Today is the day I make a long-term dream come true and nothing is going to stop me!”, I thought to myself. On this day, I finally saw the beautiful Bentendo Hall at Daigoji Temple in Kyoto! I will never forget it. Why is that place so important? Bentendo Hall, or a picture of it to be specific, was instrumental for me to finally visit Japan and achieve so many of my travel dreams. It will always hold a special place in my heart. This is the Bentendo Hall in Daigoji Temple, Kyoto. It was my wallpaper for more than a year to inspire me to save up and visit Japan. I finally saw it in person! *tears* At this point in time, I still don’t know how to make good use of my camera so I only have this picture. But, trust me, the reality was way better. This trip happened on November 8, 2015. I know this post is super late but I just couldn’t write it until now since it was a very emotional experience for me and, yes, I needed all this time to process it and put it into words. So here goes. The Morning of the Big Day – Hunger Crisis! Entering Daigoji Temple. This Is It! The wanderlust has burned in me since I was young. And one of the top countries on my travel wish list is definitely Japan. I put the blame on all of the anime I watched as a kid (I still watch anime to this day :D). Although Japan was not the first country I visited (that memorable experience goes to Indonesia), I continued to pine for the Land of the Rising Sun. Like many other Filipinos before, I was deterred to plan a Japan trip because of all the stories about this country being super expensive and hard to get to. I wanted to save a lot of money; was thinking around PHP 100,000 will make a Japan holiday materialize. But I just wasn’t making enough at that point and I was tired of the frustration of getting this trip postponed countless of times. So, one day, I made the decision to allow a year to save money as much as I can and pull the trigger. At the end of that year, no matter how much I’ve saved, I’ll go apply for a visa. My plan didn’t quite happen as expected. It took more than a year. But all that time, I inspired myself by looking at this beautiful desktop wallpaper that showed a small Japanese temple surrounded by stunning Autumn foliage. I just searched the internet for Japan photos and found that wallpaper. When I saw Bentendo Hall, I fell in love with it. Ever since then, I’ve resolved to visit that place when I do get to travel to Japan. After more than a year, with just PHP 35,000 in my travel savings account, I finally applied for a Japan tourist visa. You can read about my visa experience here along with other practical tips. But long story short, I got that visa and was ecstatic beyond compare. Of course, since Bentendo Hall was in Kyoto, we decided to visit this Japanese city filled with history and culture. It was nothing but a wonderful experience! So, this day was actually our 4th day in Kyoto. Logistics kept us from visiting Daigoji during our first few days in the city. You can read about Day 01, Day 02, and Day 03 here to see what else Kyoto has to offer. One of the beautiful parts inside the temple that caught my attention. Hundreds of years old and they managed to preserve this temple so beautifully down to the small details! We took a train and then a bus to Daigoji Temple, which is a bit far away from the city center. It is located on a mountainside, after all. To get there, start from Kyoto Station and ride a JR train to Yamashina Station (around 5 min ride) and then get off and transfer to the Tozai Subway Line heading to Daigo Station (around 8 minutes). 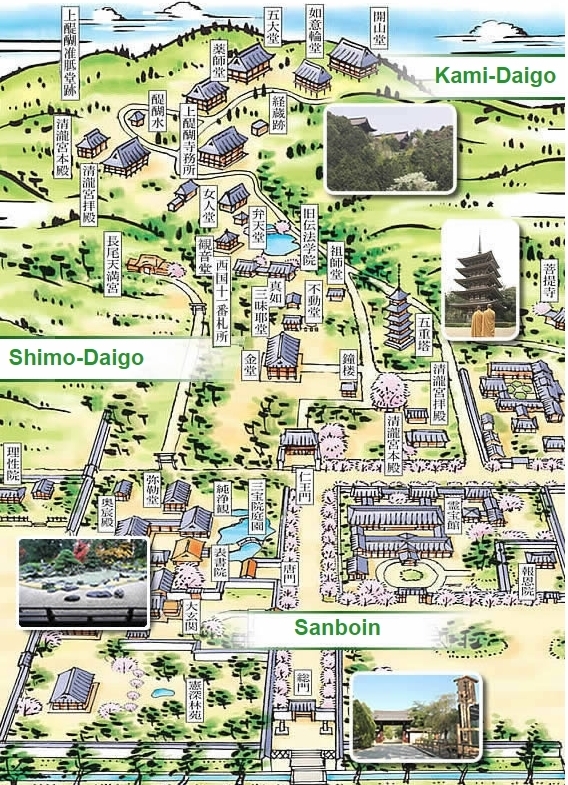 From Daigo Station, take the community bus number 4, which heads to Daigoji Temple every 30 minutes. Expect to spend around 700 yen for the one-way fare. We went there on a Sunday but there was barely anyone on the community bus with us, just a handful of elderly. Upon arrival, it started drizzling. Not used to this kind of weather at all, Arcel and I were super cold. Since we hadn’t had breakfast, we didn’t go through the temple entrance yet and decided to look for a restaurant first. We walked up and down that street and did not find a food establishment at all. Not even a snack vending machine! If there were any food shops, they were probably closed because it was a Sunday or it was too early in the morning. This was the entrance, which we did not go through yet as we wanted to find food first. We were really hungry at this point (it was actually nearing lunchtime) and we were becoming miserable from the cold. There was a Liquor Shop (it said so on the sign in English) right across the temple. But we skipped it because, hey, it said liquor store. We want food, not sake! Still, we could not find any place to eat and going back to Daigo Station was out of the question because then we’d have to wait for the bus and we were traveling on a budget. So, we finally decided to check out the liquor store. We thought they might have some snacks at least or water to tide us over. We should have gone there right from the start. Not only do they sell snacks, they sold onigiri (rice balls), too. Best of all, they had noodles! Super hungry at this point, I abandoned all forms of shyness, grabbed a cup noodle, approached the old lady tending to the store, and hoped that my broken Japanese will be understood. I asked her, “Sumimasen, atsui mizu?” while pointing to the cup noodles in my hand. I was asking her if she had hot water we could use for the noodles. I only knew that “atsui” means “hot” and “mizu” means water. Turned out there was a completely different term for hot water and that is “oyu”. And take note we were in Kyoto and Kyotoites have their own dialect, so it was touch and go there for a moment. Fortunately, she understood me. YAY!!! The old lady turned out to be so kind. Despite the language barrier, she fully understood what we wanted. And she probably saw our miserable and pitiful hungry faces haha. Uttering Japanese sentences that completely went over our heads, she ushered us towards the entrance of her store. That confused us a bit until she pulled out two low stools and two bottle crates. She turned the crates upside down and put newspapers on top of them. She just created tables and chairs for us! Then, she took our cup noodles and motioned for us to sit. Totally helpless at this point, we did what she wanted. Moments later, she came back with our noodles now swimming in steaming hot water. Oh, glorious moment! Waiting for our cup noodles to cook. Take that, language barrier! Arcel and I were quite overcome, to be honest. We just got through what seemed like a crisis and now we could finally eat! We just silently sat there eating our warm noodles, enjoying the sensation of the hunger and chill disappearing. And if you ask me, I’d say that although we just ate cup noodles, that was one of the best meals in my life! Despite the language barrier, the kindness of the old lady made everything all right. One of the best meals I’ve had the pleasure of eating! Enjoyed at our special and alfresco stool and bottle crate seat in front of a Japanese liquor store! Now full and super thankful to the kind old lady at the liquor store, we finally entered Daigoji Temple’s gates. Okay, information time. Daigoji Temple is huuuuge! It is a Buddhist Temple and a world heritage site. The main grounds sit at the base of a mountain but the whole temple actually includes an entire mountainside! Since we entered after lunch, we didn’t have time for everything. So, we decided to just explore the lower grounds. That’s where the Bentendo Hall was located anyway. We paid the admission fees at the entrance and proceeded to explore the Sanboin area. The Sanboin area has so many things to see. You can check out this guide for more details. During the feudal area, this part is where the temple archbishop stays. 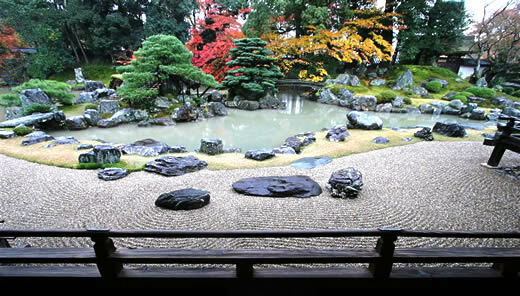 My favorite part there is this traditional Japanese garden that was so beautiful and relaxing. Unfortunately, taking photos is not allowed in that area. The temple staff just want the visitors to enjoy the garden, take in the beauty of nature, and not be distracted or distract others with flashing cameras. Here is an image from the official Daigoji website. This doesn’t do it justice though. It is more beautiful and relaxing in person. After spending some time in the garden, we explored the rest of the grounds. Since I am a fan of architecture, that stroll was really pleasant for me. I just admired all the temple architecture around. We also got inside some of the structures to admire beautiful interiors and temple art. Then, we found ourselves at the Five-Storey Pagoda. It was drizzling the whole time so Arcel and I walked around with these cute transparent umbrellas that are so Japanese. The pagoda, also known as the Goju-No-To, was stunning to me. Its construction started in 936 and finished in 951. That means it took 15 years to build this structure and as of today, it is more than 1,000 years old! Talk about standing the test of time! I was not in a hurry to view Bentendo Hall. I have waited for more than a year for this so what are a couple more hours, right? I wanted to explore the Sanboin area thoroughly and savor the path that leads to Bentendo Hall. And there were plenty of pretty paths, too. Plus, we had our cute and transparent Japanese umbrellas to protect us from the rain. After spending some time admiring the Five-Storey Pagoda, we finally headed to the Shimo-Daigo area, where Bentendo Hall is. The main reason I fell in love with the picture of this place is because of the setting. A small vermillion temple is nestled on a hill and it is fronted by a pond, which is in turn surrounded by trees that show off their gorgeous colors during Autumn. A small red Japanese bridge leads to the tiny temple on the hill. One of the paths leading to Bentendo Hall. Autumn hasn’t quite touched this area yet. When we explored the Sanboin area, I noticed that only a few trees have actually turned red and orange. I was quite worried that the Bentendo Hall I’d see on this day won’t be as colorful as my wallpaper. But, this was a case where reality exceeded expectations and I couldn’t be happier! By the way, Bentendo Hall is dedicated to the goddess Benzaiten, the goddess of knowledge and liberal arts (e.g. music). She is also known as one of the Seven Deities of Good Fortune or the Shichifukujin. And if I worship deities, I think I would love praying to Benzaiten. She sounds creative, wise, and kind-hearted. An all-around awesome goddess! No wonder Bentendo Hall was so beautiful! Anyway, this is it. Moment of truth. 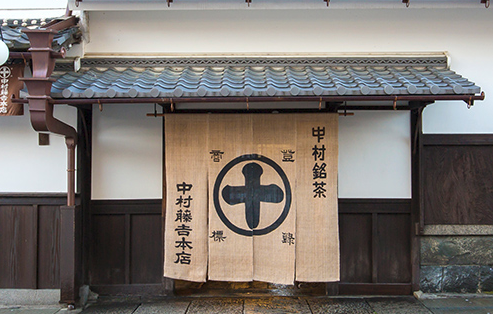 We followed the path that led to Bentendo Hall. I turned a corner and there it was. I was left speechless! It was so beautiful to me. No photo could do it justice! I was finally here! I may not look like I’m enjoying myself in this photo and that’s because I normally do not show my emotions externally. They all happen internally and perhaps that’s why I look awkward here, so many things was just going on in my mind! I saw the tiny vermillion temple looking all serene, accessible by this curved and bright red bridge, which is hard to traverse but very decorative and beautiful, in my opinion. The pond was calm and reflected all of the colorful trees around it. And the trees, wow! They were just as I expected them to be. An explosion of Fall colors – red, yellow, and orange hues everywhere. So beautiful, especially to me who experienced Autumn for the first time during this trip. I stood there awestruck. It finally hit me. Ahh, I am in Japan and this is not a wallpaper. I finally made this dream come true. I did it despite all the odds. And it is as beautiful as I expected it to be, and even more. I could feel the chilly Autumn air caressing my skin and it was refreshing. It seemed like all of the stresses and burdens in my life disappeared at that instant. I was truly in the moment. I savored the smell of the earth and water in the air. I let my eyes feast on the gorgeous view in front of me. And I made the commitment right there and then that I will keep on traveling and experience for myself this Earth of ours. Oh, if only I could stay in this place for months! To not travel will surely be the death of me. Writing this is making me choked up, honestly. This trip was three years ago already but remembering it still takes me back to that moment so vividly. The feeling of realizing a dream, making it come true is just one of the most amazing feeling in the world! I will say it again and again – Bentendo Hall at Daigoji Temple is soooo gorgeous! Arcel and I had a great time at Daigoji, that’s for sure. Upon leaving, I especially felt super fulfilled. It was hard to save for this trip and getting the tourist visa wasn’t that easy either. Still, we made it there and that’s awesome. On the way back to our accommodation, we decided to stop by at the town of Uji, home to the popular Nakamura Tokichi Honten. They are a traditional restaurant that offers Matcha or Green Tea delights. When we got there, there was a long line – testimony to how good they are. We waited it out and finally got a table for two, outside. 😀 Thankfully, they provided us with warm blankets, right on time because the sun has set and the cold weather became even colder. Since we are not going to return there anytime soon, Arcel and I decided to splurge. We each ordered the popular Matcha Jelly, which came in this cute bamboo looking cup. It was a synergistic mix of matcha jelly, matcha ice cream, sweet red bean paste, and other delicious things. Sweet and delicious matcha treat. Of course, we also had a cup of high-quality matcha tea. At the end of the day, that’s the best way to consume matcha. Besides, Japan is well known for their amazing tea ceremony so do get some green tea in, well, tea form! This post has become quite long, sorry. But I feel like a short one won’t do this justice. If you’ve come this far, thanks for reading! 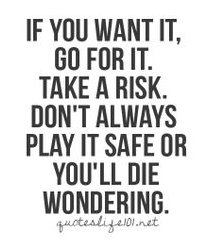 All I really want to say now is don’t be afraid to chase after your dreams, no matter how long it takes. The time will pass anyway, so keep pushing. Whether it is travel or something else, if that dream makes you awake some nights, it is worth pursuing. And once you have it in your grasp, all of the hardships beforehand will not matter one bit! Stay tuned for my Kyoto Day 05 post!